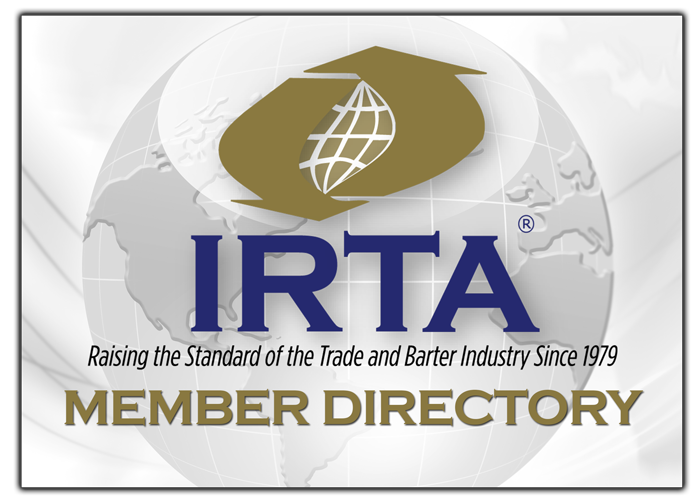 IRTA offers a Registered Trade Broker (RTB) and Certified Trade Broker (CTB) for individuals who are seeking to advance their barter broker skills and knowledge in the industry. The Registered Trade Broker program was created in September of 2010 to offer much needed education for individuals who are new to the Modern Trade and Barter Industry. A RTB becomes a CTB after being in the industry for two years and obtaining 200 points. Professionals who earn Certified Trade Broker (CTB) status have demonstrated a level of competence and knowledge through their years of industry experience and satisfactory performance on a certifying exam. In addition to the enhanced credibility that CTB status confers on designees, certified trade brokers earn internationally-recognized credentials, the potential for career advancement, recognition at industry events, as well as the satisfaction of completing a comprehensive certification process. Exchange employees are eligible to apply for CTB testing if they have a bachelor’s degree or two years experience working for a trade organization. IRTA is currently exploring online CTB and RTB training and testing options. If approved, the online CTB and RTB versions will be available in 2017. Retesting is permitted if CTB status is not earned on the first attempt. In some instances, the CTB test will be administered at other venues and conferences. The cost to take the exam is US $100 for IRTA members and US $200 for non-members.